I have collected all the briefs in Authors Guild v. Hathitrust for anyone who is interested. The leading number refers to the court docket. There are some briefs in support of the plaintiffs, but the majority are in support of the defendants. 146_Brief Amici Curiae of Beneficent Technology, Inc. And Learning Ally, Inc. 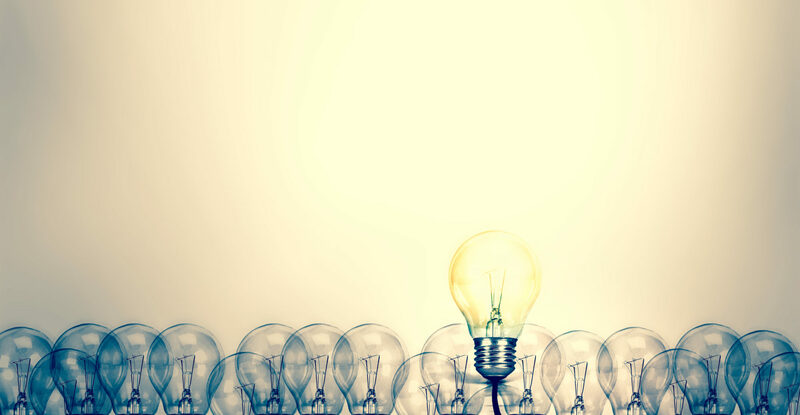 The Australian law Reform Commission has just released its much anticipated Discussion Paper on Copyright and the Digital Economy. Available in both pdf and e-book at http://www.alrc.gov.au/publications/copyright-and-digital-economy-dp-79. The Discuss Paper was published on June 5, 2013 and released June 6, 2013. The paper is not definitive, it launches the second stage in the commission’s public consultation processes. The closing date for submissions is Wednesday July 31, 2013. In the alternative, if a fair use test is not enacted, the ARLC recommends a new fair dealing for education provision. This would enable educational institutions to copy for students within limits determined by a test of fairness. Obviously, even contemplating such significant changes to Australian copyright law will provoke a backlash from the copyright owner interest groups. Hopefully these groups will do more than make captious ‘lobbyist’ arguments. I heard some ludicrous suggestions when I was in Australia earlier in the year, such as the fair use doctrine would be unconstitutional because Australia has no First Amendment. But there is no denying Australia copyright law is horribly broken and major changes are required. Internet search engines are technically illegal in Australia (so are Tivo and similar DVRs thanks to a recent decision of the Full Federal Court) and Australian schools routinely pay for trivial uses of copyrighted material that are fair and free in the rest of the world. Amici are over 100 professors and scholars who teach, write, and research in computer science, the digital humanities, linguistics or law, and two associations that represent Digital Humanities scholars generally. Mass digitization, especially by libraries, is a key enabler of socially valuable computational and statistical research (often called “data mining” or “text mining”). While the practice of data mining has been used for several decades in traditional scientific disciplines such as astrophysics and in social sciences like economics, it has only recently become technologically and economically feasible within the humanities. This has led to a revolution, dubbed “Digital Humanities,” ranging across subjects like literature and linguistics to history and philosophy. New scholarly endeavors enabled by Digital Humanities advancements are still in their infancy but have enormous potential to contribute to our collective understanding of the cultural, political, and economic relationships among various collections (or corpora) of works—including copyrighted works—and with society. The Court’s ruling in this case on the legality of mass digitization could dramatically affect the future of work in the Digital Humanities. 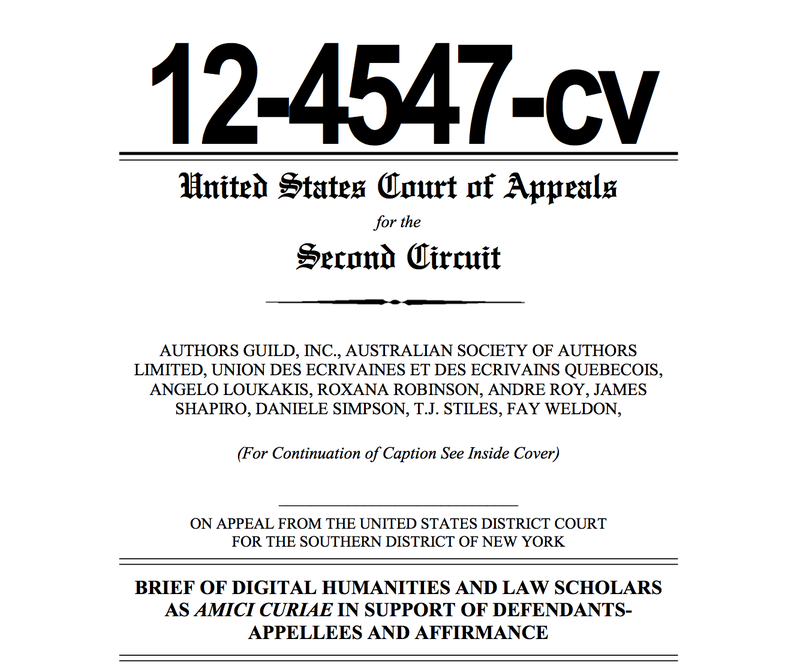 The Amici argue that the Court should affirm the decision of the district court below that library digitization for the purpose of text mining and similar non-expressive uses present no legally cognizable conflict with the statutory rights or interests of the copyright holders. Where, as here, the output of a database—i.e., the data it produces and displays—is noninfringing, this Court should find that the creation and operation of the database itself is likewise noninfringing. The copying required to convert paper library books into a searchable digital database is properly considered a “non-expressive use” because the works are copied for reasons unrelated to their protectable expressive qualities — the copies are intermediate and, as far as is relevant here, unread. The mass digitization of books for text-mining purposes is a form of incidental or “intermediate” copying that enables ultimately non-expressive, non-infringing, and socially beneficial uses without unduly treading on any expressive—i.e., legally cognizable—uses of the works. The Court should find such copying to be fair use.